The availability of this product depends on other products; it will be available as long as the 3052 or 3054 is, unless an improved enclosure is released. 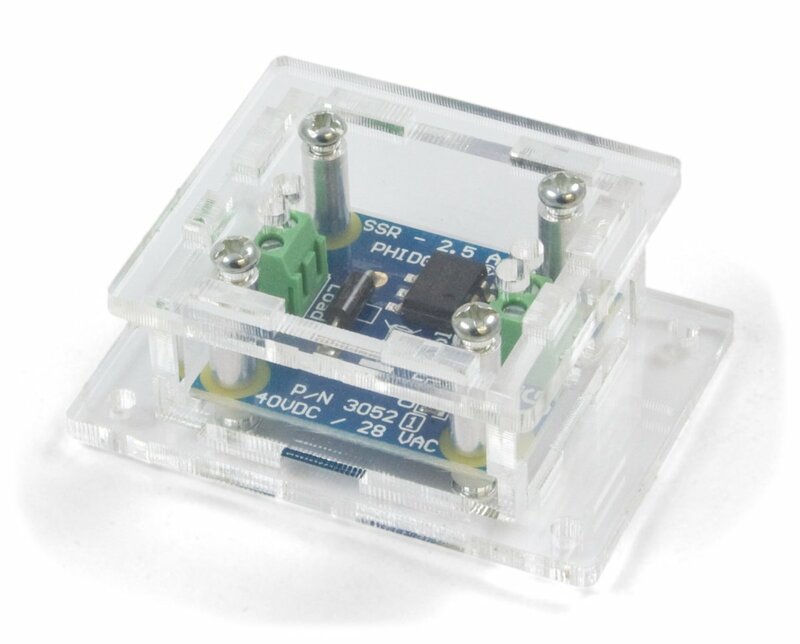 The 3821 Enclosure is designed to protect the Rev 1 version of the 3052 or the Rev 0 version of the 3054 relay board while giving you access to all terminals and connectors through openings in the enclosure. You can plug and unplug cables, connect and disconnect devices, without having to open the enclosure.